This lightweight tool is designed for drilling blast, anchor and rock-splitting holes. 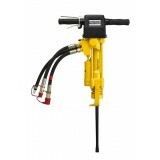 Used for example by contractors, armies and utilities who want convenient and efficient drilling without large compressors. With standard integral steel, it drills diameters of up to 50 mm and depths down to approx. 6 m by using hydraulic power for impact and rotation. A small additional compressor is needed for flushing. This lightweight tool is designed for drilling blast, anchor and rock-splitting holes. 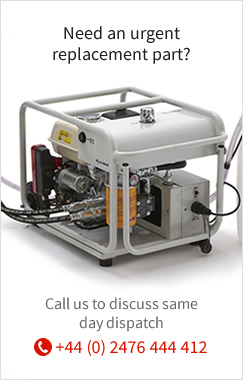 Used for example by contractors, armies and utilities who want convenient and efficient drilling without large compressors. With standard integral steel, it drills diameters of up to 50 mm (2") and depths down to approx. 6 m (33 ft)by using hydraulic power for impact and rotation. A small additional compressor is needed for flushing. 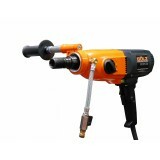 Light handheld drilling machine for dry and wet drilling for the professional user in the field of installation techniques or test drilling. In the variation with spade handle and additional handles the FB20EL is an easy-to-handle drilling machine, which is at the same time flexible and safe to use. 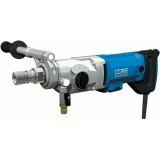 The SDS Plus Hammer Drill suitable for drilling in concrete and masonry. 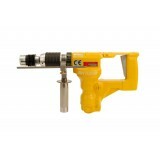 The hammer action can be switched off, making the tool capable of drilling in wood and steel when fitted with a standard chuck via an adaptor. 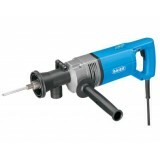 With the hammer action switched off the Rotary hammer drill is capable of core drilling diameters upto 100mm. The 2000 Watt motor and 3-speed gearbox make this machine the perfect solution for demanding jobs in brickwork and hard concrete. An ideal machine for the electrician and builder. The slip clutch protest operator and machine against overload situations. 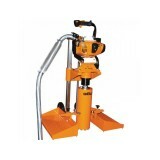 The combi spindle allows the use of 1/2"G as well as 5/4" UNC drill bits.